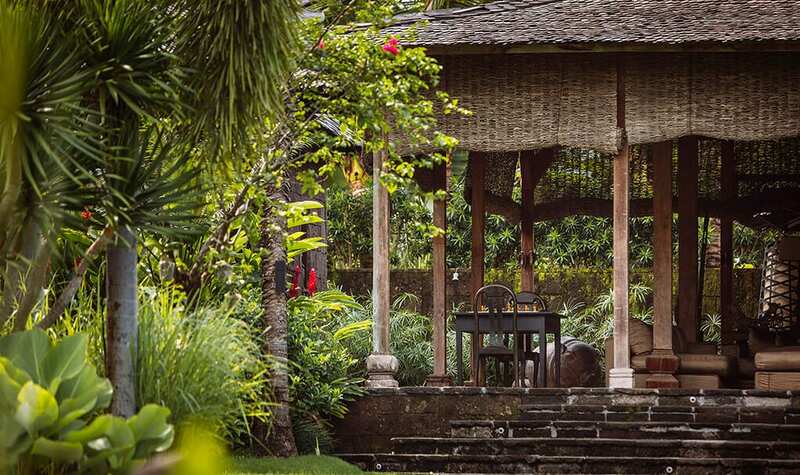 Villa Zelie pays homage to Indonesia’s rich artisan heritage with exquisite teak and ironwood joglo and gladak buildings set amid 3,300 square metres of landscaped tropical gardens. 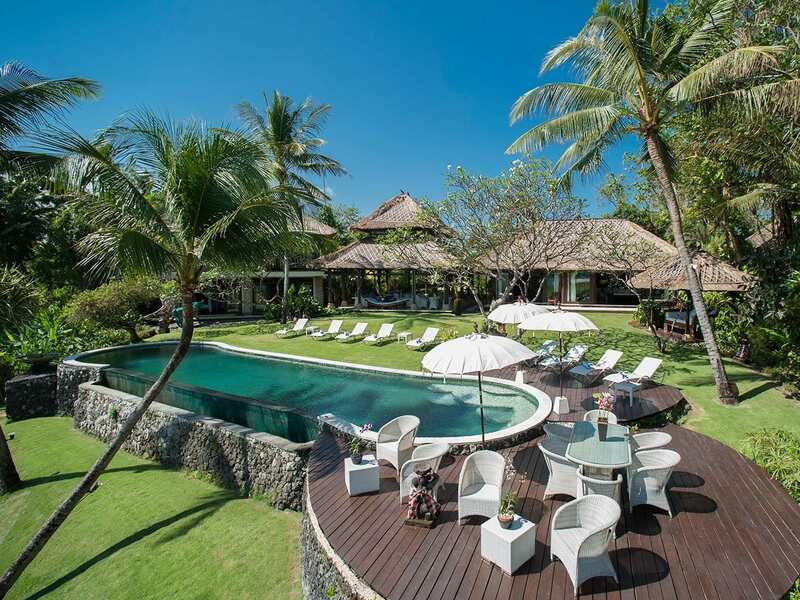 This exceptional 5-bedroom villa is an oasis of calm with a beautiful 20-metre swimming pool, al fresco dining areas surrounded by lush greenery, and peaceful, private suites adorned with hand-picked antiques and artworks. 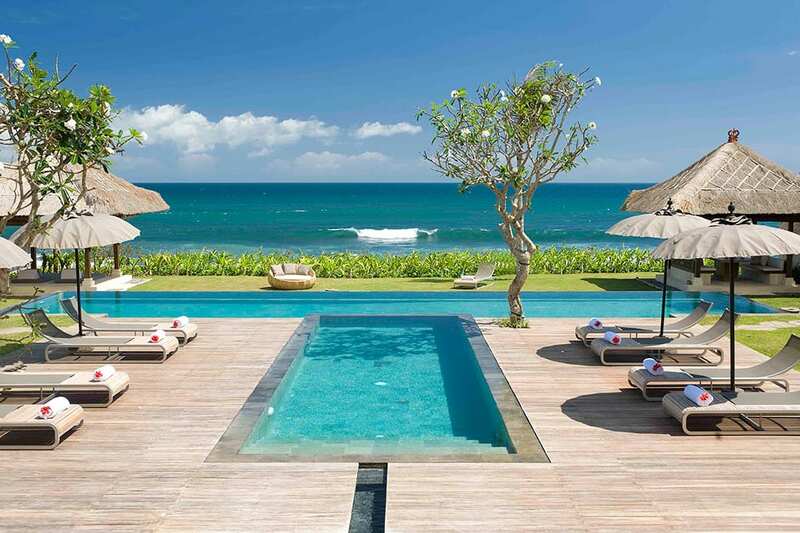 Adding to the allure is Villa Zelie’s enviable location just steps from Kayu Putih Beach, La Laguna restaurant, and Finn’s Beach Club in Canggu. 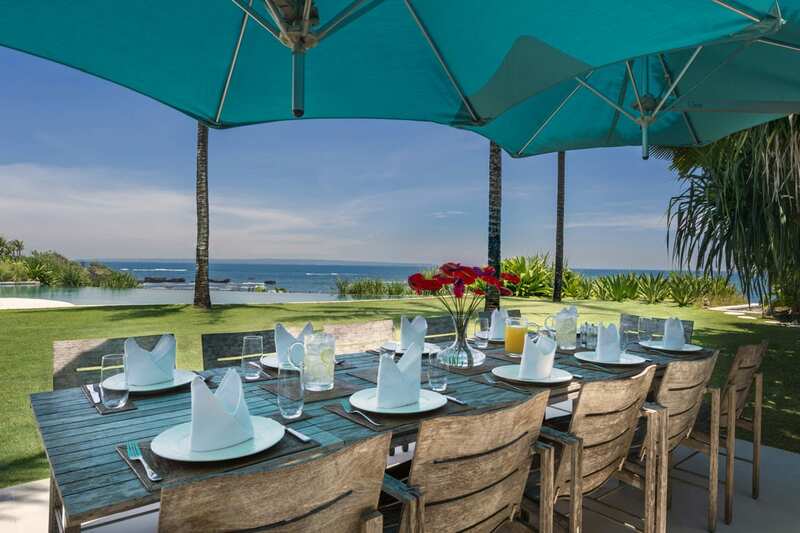 For discerning travellers seeking a designer destination that exudes tranquility yet is just steps from world-class beaches, dining and nightlife, Villa Zelie is hard to beat. 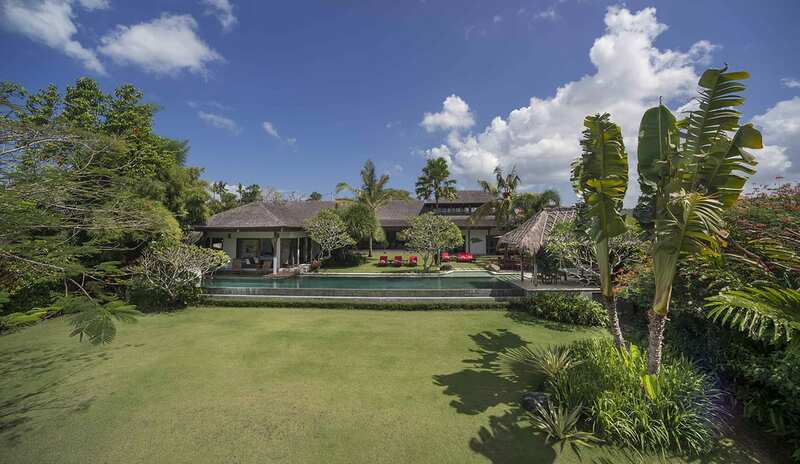 Spread out over four terraced lawns, this enchanting 5-bedroom villa offers surprises at every turn. 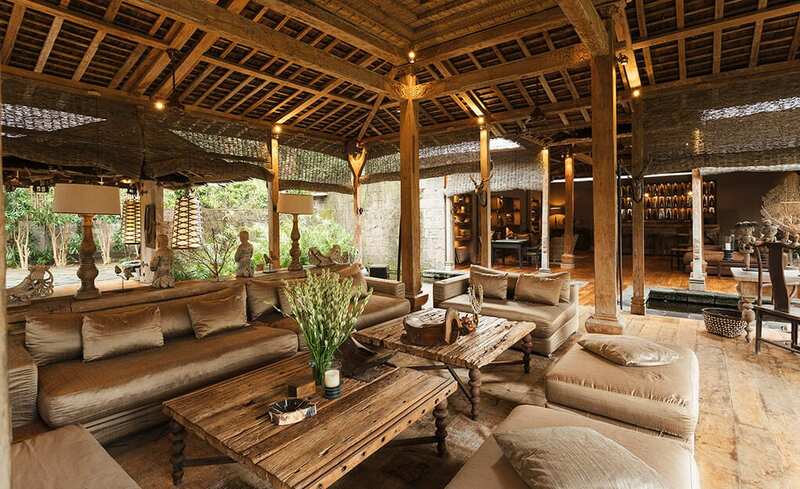 Magnificent wooden structures inspired by Javanese palaces are furnished with antiques and tribal artworks, open-sided pavilions allow you to commune with nature, a shimmering swimming pool sits at the heart of the property, and entertaining is always an option with a timber bar, drop-down movie projector, and attentive staff on hand to take care of your every need. 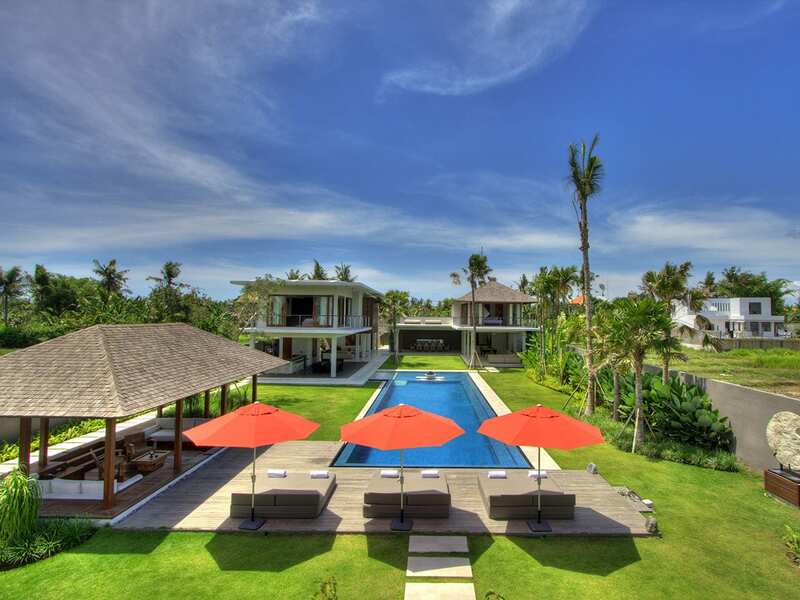 The villa is also just a short stroll to the beach and minutes from the hip cafes, restaurants and shops of Canggu. 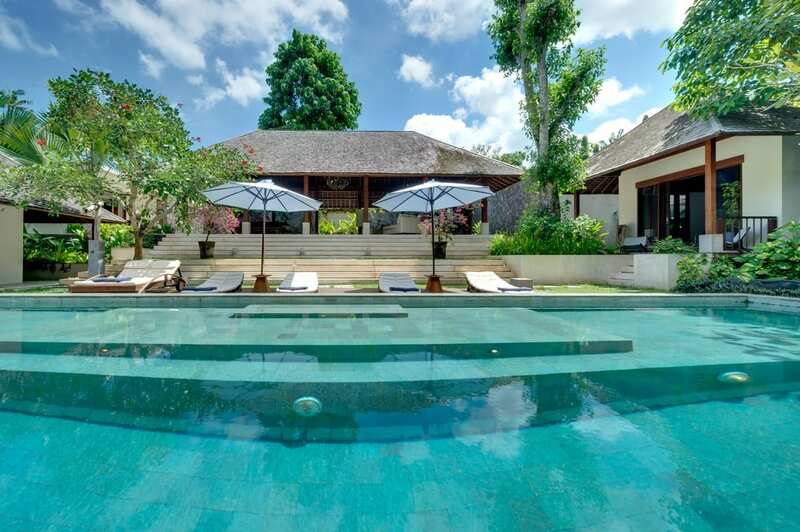 Villa Zelie has three captivating living pavilions for relaxation, dining and entertainment. 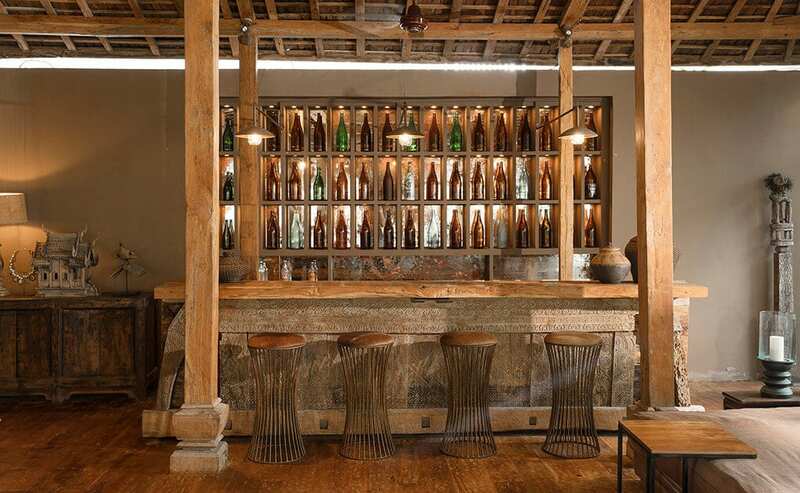 Each is open-sided and features soaring ceilings held up by hand-carved beams. 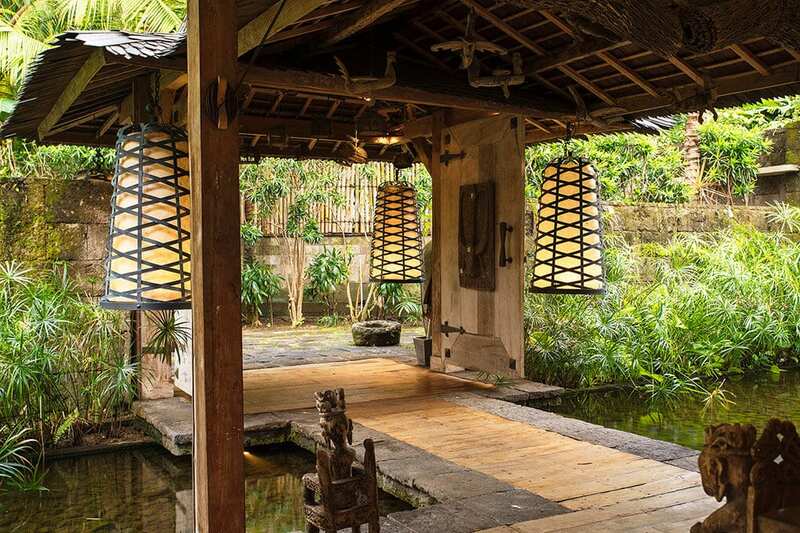 The living pavilion is elevated above koi ponds and has deep cushioned couches overlooking the gardens. 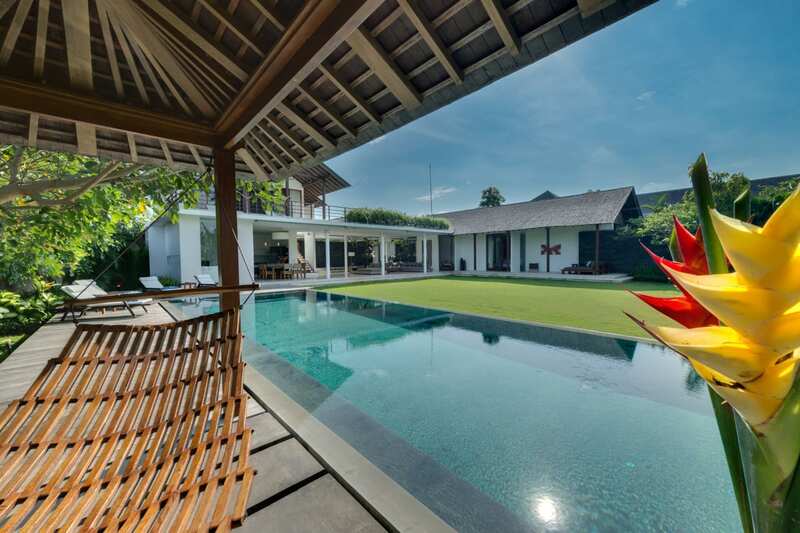 Next to this is the entertainment pavilion with a beautiful wooden bar, an inviting lounge with sofas, a movie projector, backgammon table, and a library filled with interesting reads. 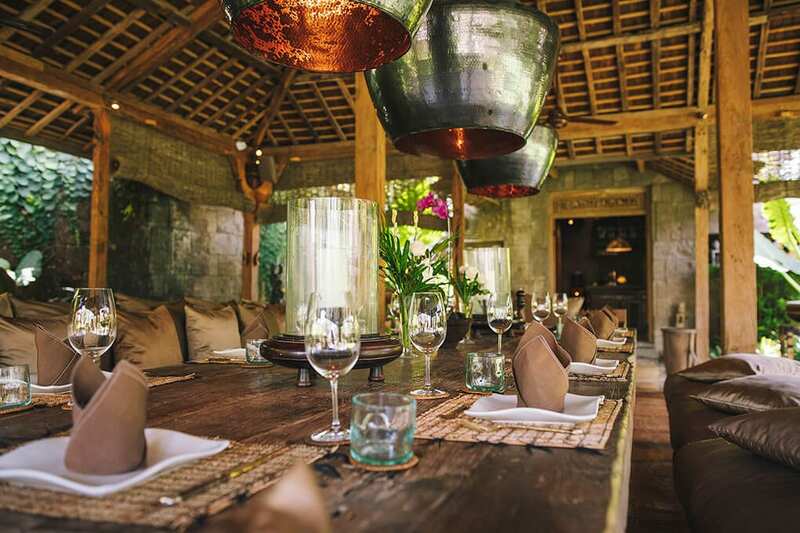 Close by is the dining pavilion surrounded by exotic plants and boasting a huge wooden table for 14 with comfortable hand-carved benches. The dining pavilion also houses a modern kitchen with an island surrounded by tall stools. 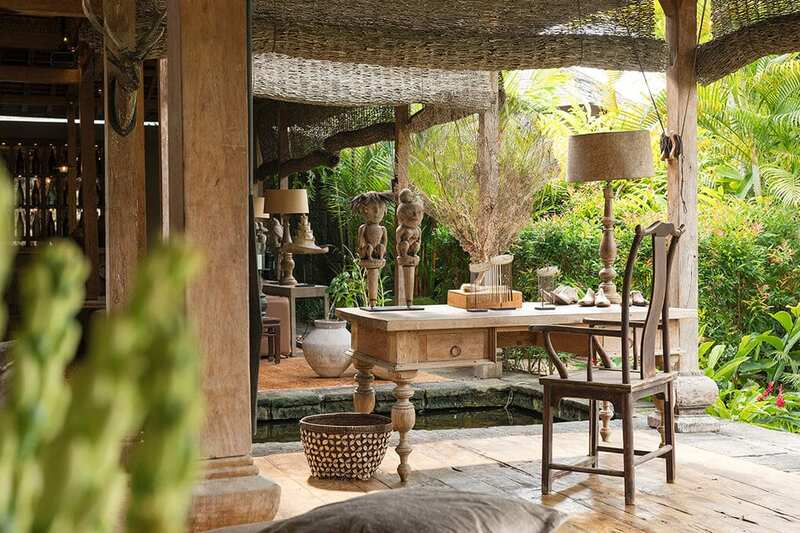 The master suite at Villa Zelie is housed in an iconic Javanese joglo with a large wooden veranda looking out to the gardens. 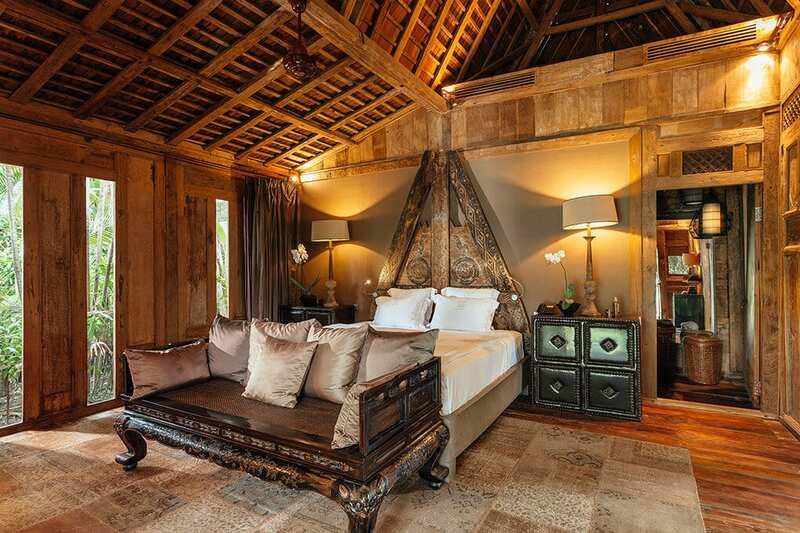 The interiors are a honeymooner’s dream with a romantic canopied bed under an ornately carved timber ceiling, a plush sofa at the foot of the bed, gauzy drapes that can be closed to add another layer of intimacy, and antique wooden furnishings that add rustic charm. 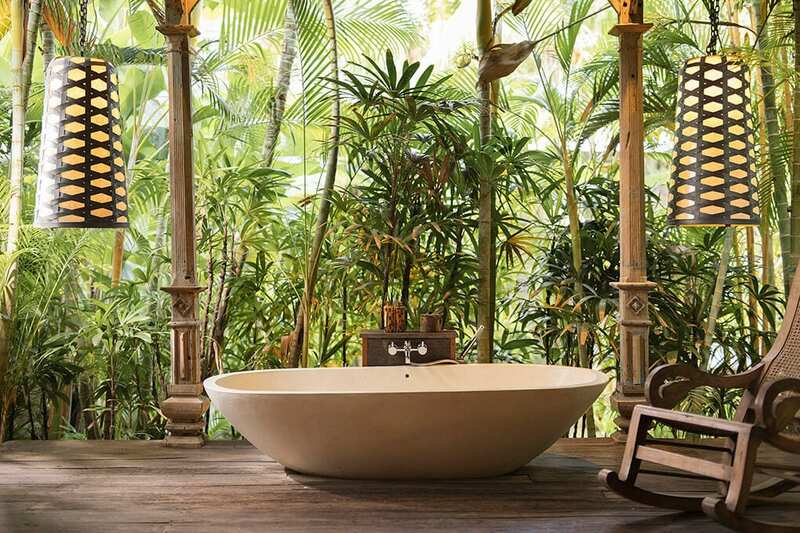 The huge outdoor bathroom is also a treat with a stone bathtub, twin wash basins, a rain shower, and a dressing room with a pair of luxurious silk kimonos hanging in the wardrobe. 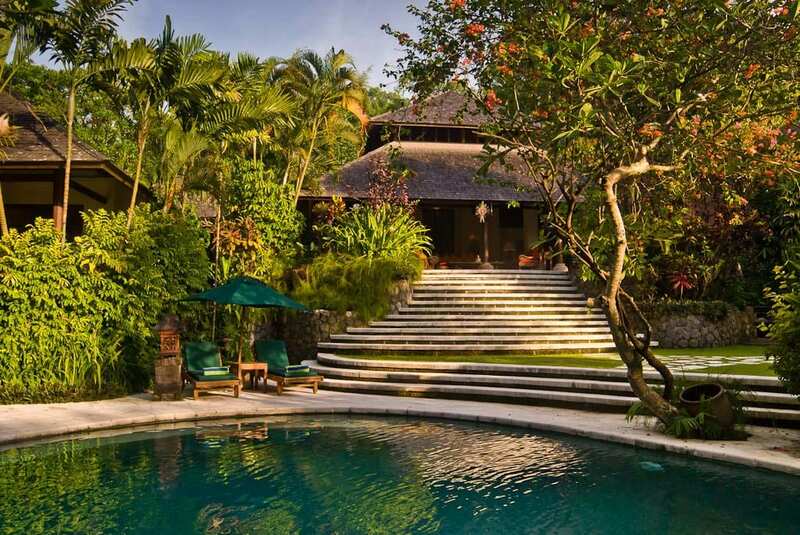 Villa Zelie’s guest suites are housed in individual stand-alone gladak buildings spread throughout the garden. 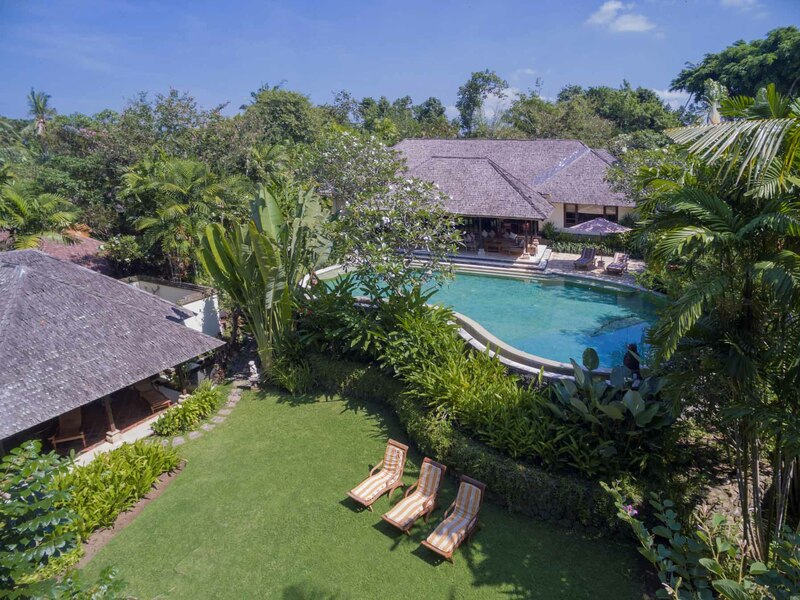 These gorgeous wooden structures boast breezy verandas with sitting areas facing the pool, king-sized beds, walk-in closets, and semi open-air bathrooms with bathtubs and rain showers. 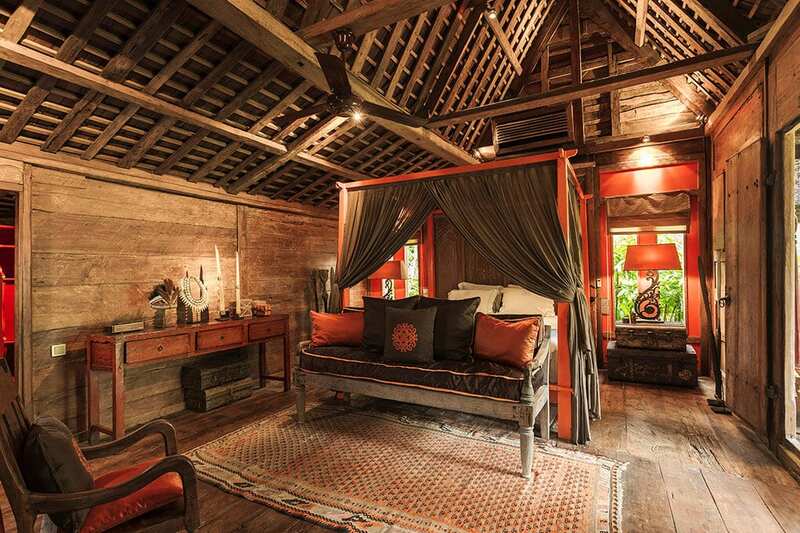 Each has its own colour theme and unique furnishings like hanging lanterns, hand-painted headboards, and batik pillows. 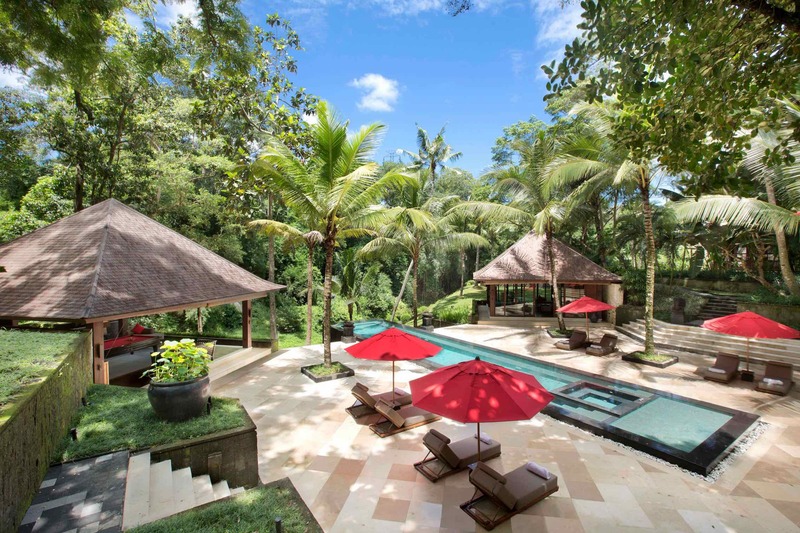 The 20-metre, stone-edged swimming pool sits at the very centre of Villa Zelie’s vibrant gardens. 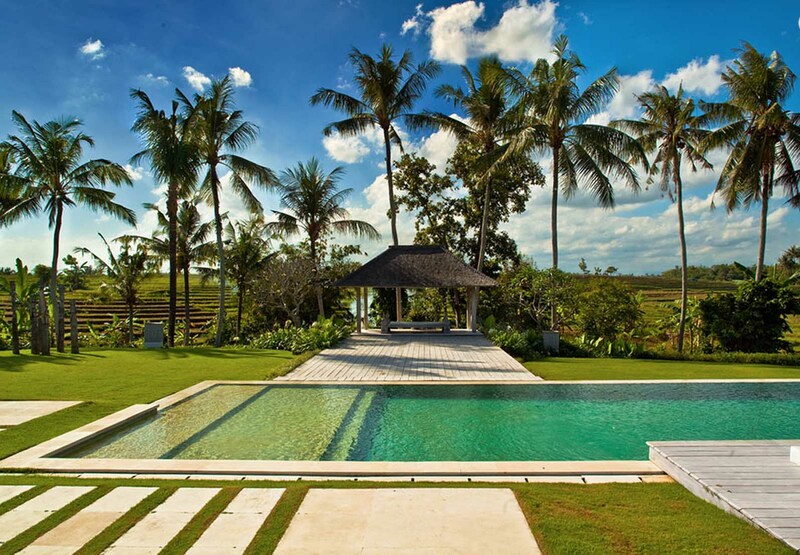 Long enough to do laps, and with a shallow area for children, this is the perfect place to cool off on a balmy Bali day. 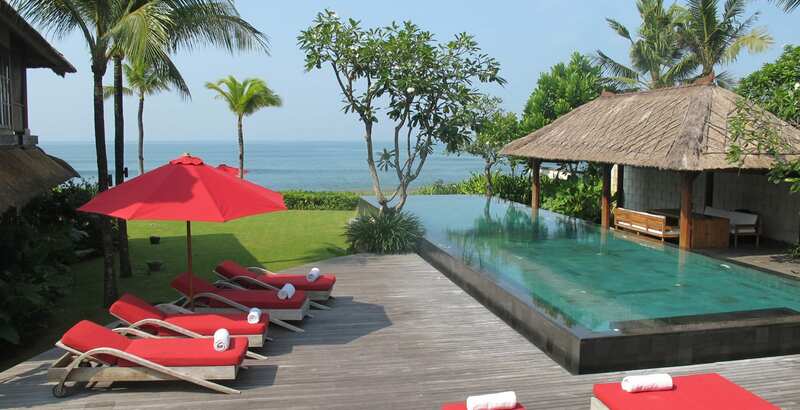 The pool is lined with double sunbeds on the lawn, some of which offer full sun and others that sit in the shade of frangipani trees. 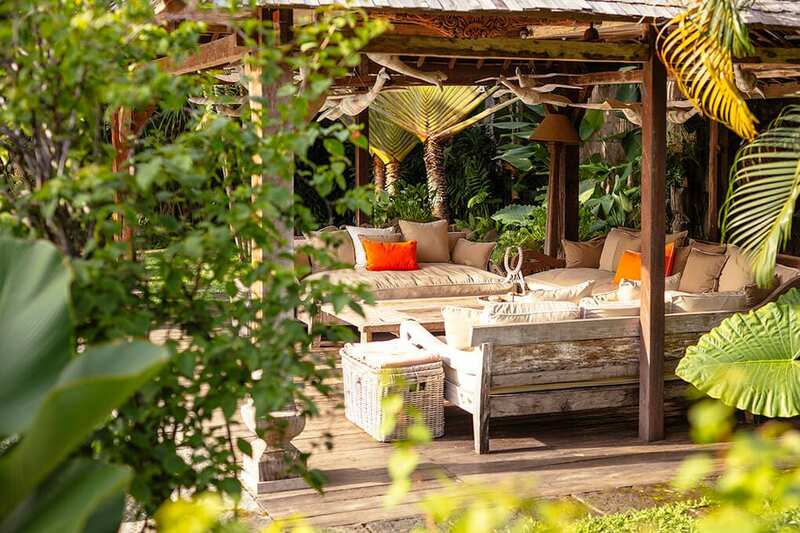 The pool pavilion rests on one side of the pool and offers comfortable sofas with large cushions and a rustic wooden coffee table under a striking pendobo roof. 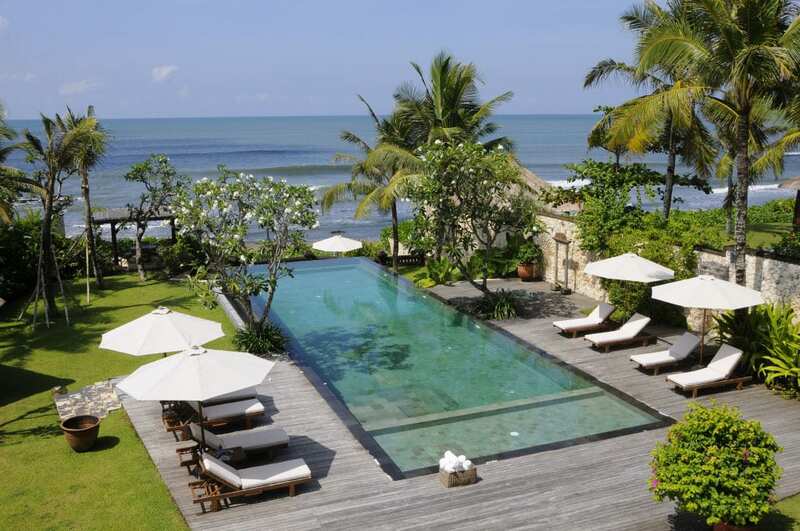 CAPACITY 10 adults (5 ensuite bedrooms with king-size beds) 2 extra beds available at additional cost. LIVING AREAS Living pavilion; entertainment pavilion; dining pavilion and pool pavilion. POOL Main pool: 20 x 6 x 1.35m; children’s wading pool: 7.3 x 3 x 0.2m. 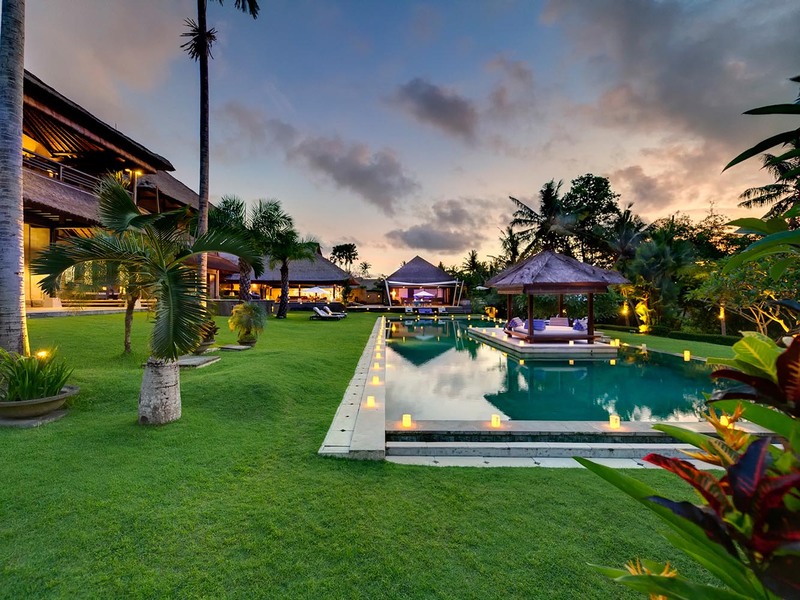 STAFF Villa manager; private chef; butlers; housekeeping; groundskeepers; security and driver. Additional staff (babysitters, masseuses) available on request. 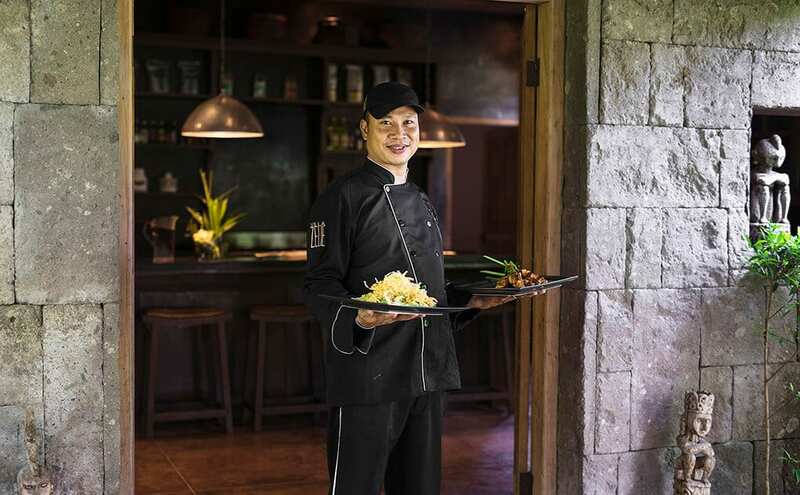 DINING Western and Asian dishes served family-style from a suggestion menu. Special diets and guest requests are accommodated whenever possible. 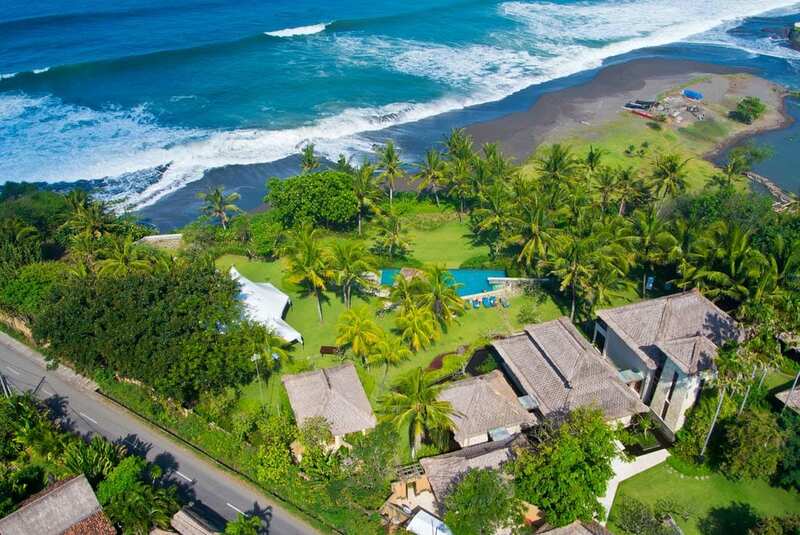 COMMUNICATION WiFi internet access throughout; landline for local calls. ENTERTAINMENT Movie projector; CD player; iPod dock; Sonos speakers; Satellite TV in Master Suite. 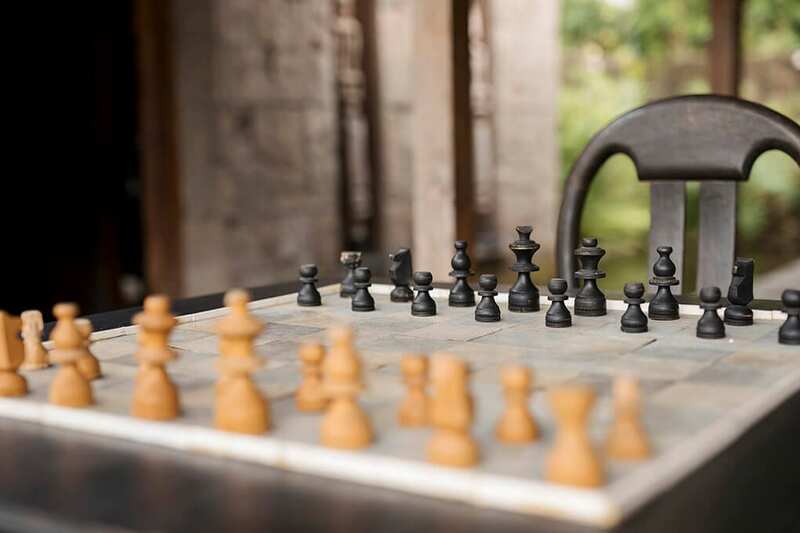 FOR FAMILIES Pool toys; chess and checkers table; backgammon table; board games; children’s hire items on request (baby cot, high chair, bed rails, pool fence). 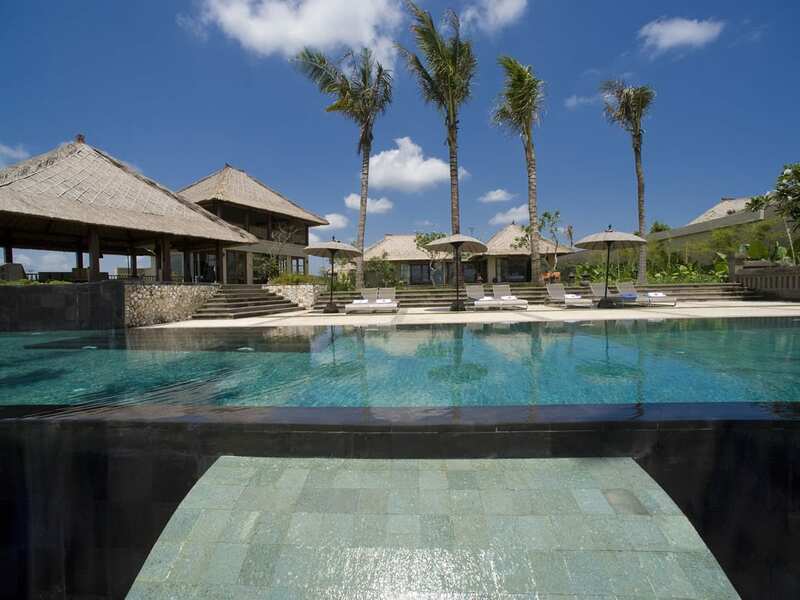 SPA Two-storey spa balé; massage and beauty treatments carried out by professional spa therapists (extra cost applies). TRANSPORT Your villa manager will be pleased to assist with transport arrangements. Metered taxis are readily available or a chauffered car can be hired. ADDITIONAL Back-up generator; safety deposit boxes; barbecue. 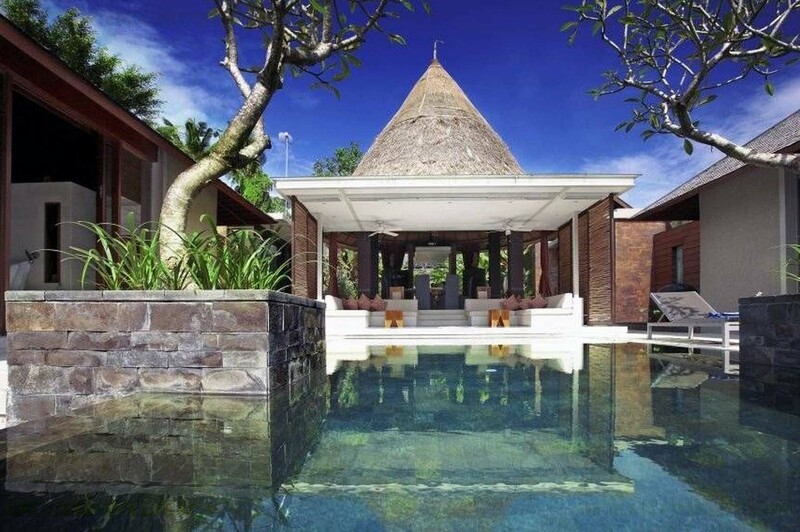 PROPERTY AREA 1400sqm (villa). 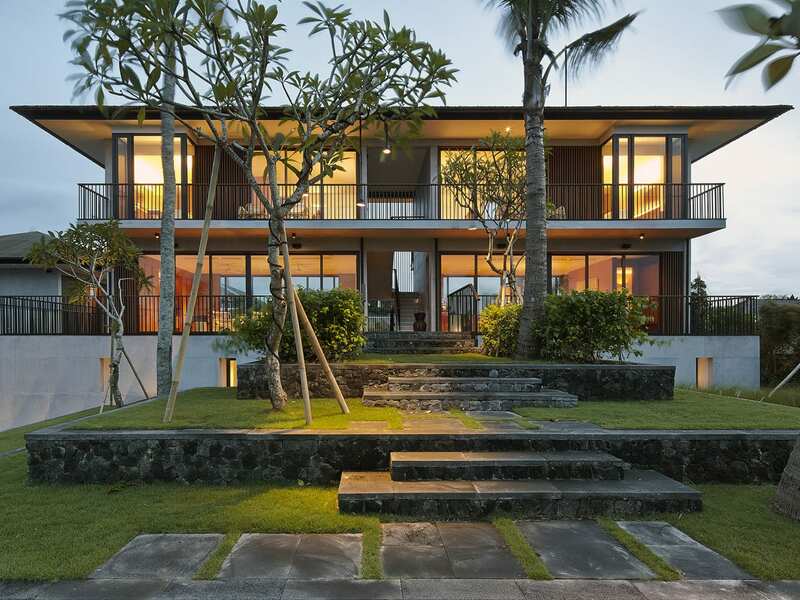 3300sqm (land).